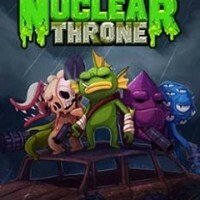 Nuclear Throne is a 2D game developed by Vlambeer and published by them too. 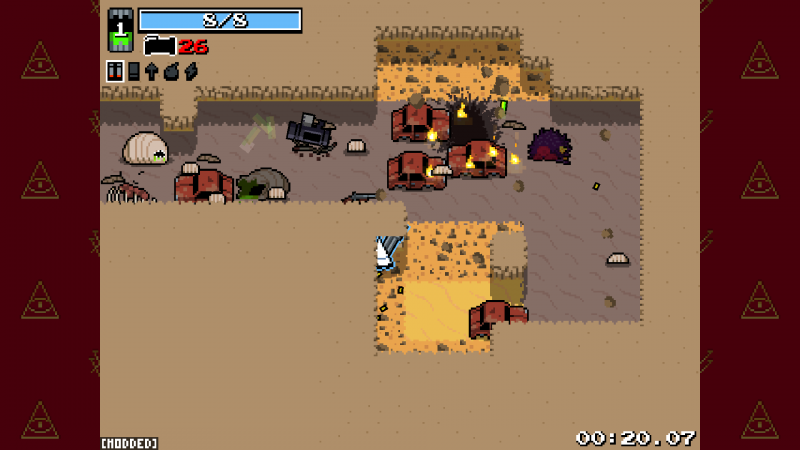 Its a 2d, small characters themed game in which we are on a fight of toxic creatures. 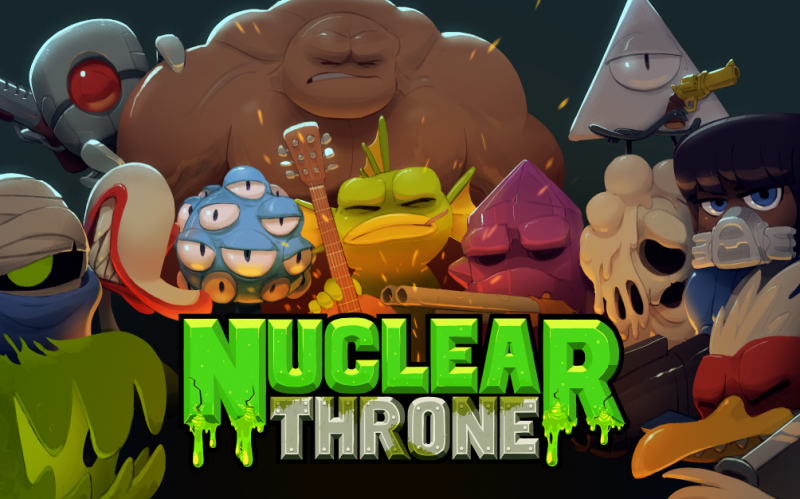 There are 12 unlockable characters in the game and every character has its own special ability. 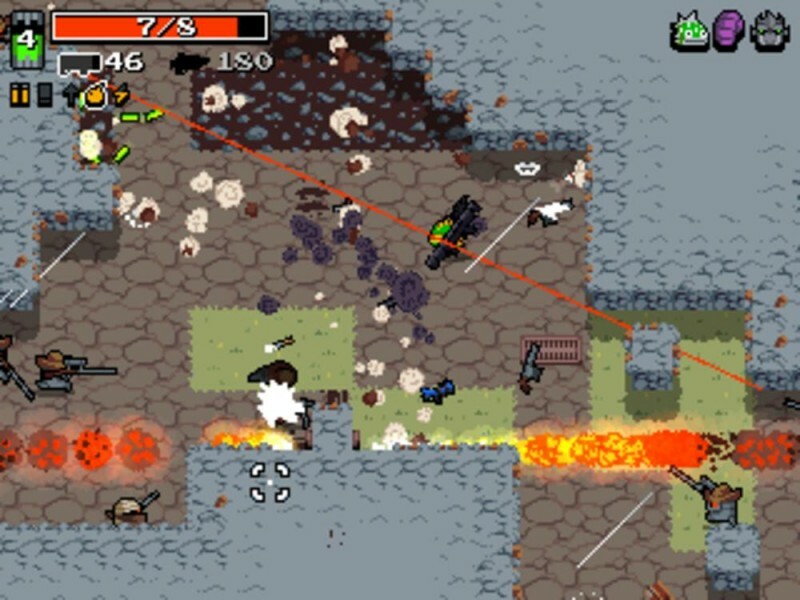 Killing the enemies will let you proceed through the level, you can also upgrade weapons in the game for more hard to kill enemies.